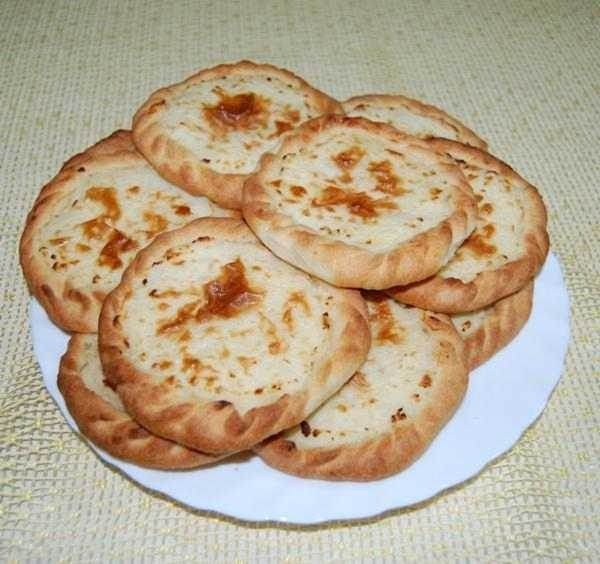 Shangi is open round cakes with various fillings. She is a very, generally, not filled with stuffing, as it were lubricated. She is a very traditionally made from unleavened dough. The most popular is shangi potatoes. Shangi bake not only wheat flour but also rye and rye-wheat. The dough for sheep or beef fat. To date, the formulation of sanag has undergone significant changes and has approached the recipe cheesecakes. Water preheat, and a glass of water dissolve the sugar. In sugar water dissolve the yeast. After 3-5 minutes, the yeast begin to "walk" on the surface appears foam. In half of the sifted flour add the remaining water and dissolved yeast. All mix well. The dough put in a warm place for 30 minutes. After the dough started to "walk", add the remaining flour, salt dissolved margarine and knead the dough. Leave the dough to rise for 1.5-2 hours in a warm place. Boil the potatoes until tender in salted water. With the pestle mash the potatoes into a puree. Heat the milk and add to mashed potatoes. Add oil and butter and stir until smooth. The filling should not be too thick. After the dough has risen, roll out a thin layer and cut out the shape from the dough pellet with a diameter of 10 cm. Lay the tortillas on a baking sheet with the distance between them is 2 cm. Across the surface of the pellets, a layer of 1-1,5 cm, put the filling. Close the pan with a towel and put in warm place to rastarivanie for 30 minutes. Shangi bake in the oven at 180 degrees for 35-40 minutes. Ready she is a very hot brush with melted butter. Shangi eat hot, freshly baked, with milk, with yogurt, with salt fish, with soup, tea.